Spyro’s long-awaited return is mere weeks away, and Activision has already kicked the hype machine to high gear. A Spyro Reignited Trilogy launch trailer has hit the web, reminding us all why we fell for the purple dragon two decades ago. As with any launch trailer, stunning visuals and gameplay take the lead. 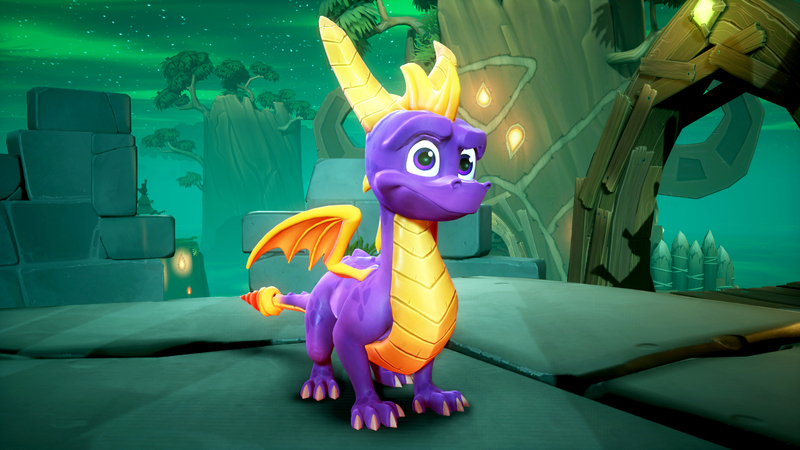 The trailer touts that this version of Spyro is “all scaled up,” courtesy of modernized graphics. It’s true, Spyro: The Dragon, Spyro 2: Ripto’s Rage, and Spyro: Year of the Dragon have never looked better. With regard to gameplay, we bet these three classics have never played better, either. Yet, the particularly striking thing is the collection’s existing at all. Spyro is actually back. His return will remain hard to believe until the Trilogy’s launch, but this trailer acts as a fine first taste of what’s to come. Spyro Reignited Trilogy arrives on the PlayStation 4, PC, and Xbox One on November 13, 2018.